I don’t talk much about my family on the blog or social media, because I don’t feel like it’s fair to share their lives without their permission. Plus they all like their privacy. My siblings and I have gathered together to help her out in any way we can, plus a friend has graciously offered up space for her to work in. We also started a GoFundMe to help her offset any costs and pay her bills. Also, Any proceeds from sales in my shop from now, until August 18th, will be added to her GoFundMe page. If you could share these links, and get the word out, I would love it! This is a new situation for my family and I. We don’t normally ask for help, and aren’t really sure where to go from here. Any help is appreciated!. Last weekend my husband and I hosted a baby shower in honor of my little sister Ashley and her husband Trey (who wanted a nickname like CT, so I’m going to be lazy and call him TN). My mom did most of the work putting this whole thing together. From the food, to the candy bar, to the hot chocolate favors to the games and more. She went all out!!! The only thing I had a hand in was the little tags on everything, the food signs, the macarons and the photo booth and props. All but the last pieces were all her idea too! It was a lot of fun to help put together and I am so happy we were able to have it in our home! I also can’t wait to meet my newest niece sometime soon!! She’ll get a cute nickname unlike her dad, we’ll call her “Little R”. Now be prepared for a bunch of photos, mostly up close, because that’s just my style! Oh and the above picture is my other adorable little sister and her best friend! My camera battery died halfway through the day and I had to borrow my sisters, so the photos are all weird and different. I also messed up on photos of the adorable banner I made and the gorgeous mobile/centerpiece my mom made using tissue paper, paper lanterns, tulle and other paper goods! It was so pretty we decided to hang it in CT’s playroom afterwards. This was the first time my mom and I have collaborated on anything, it was a fun and surprising experience! This was the third event we’ve had at our house in the last month, and the second to last. I’m super happy to have everyone over, but I won’t lie, it will be soo nice when I can get back to normal! I miss making a huge crafty mess!!! 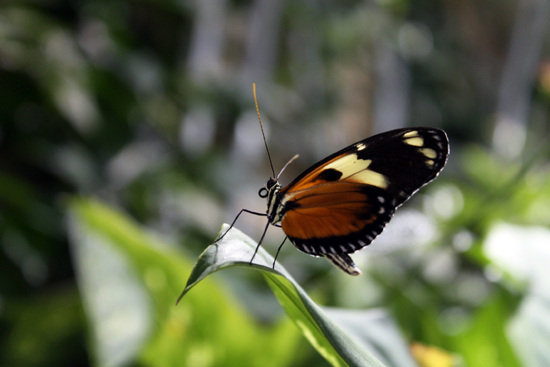 Like I said yesterday, I took way too many photos of the butterflies in the Smithsonian Butterfly Pavilion. I couldn’t help it! It was an amazing experience. It is a long, narrow room that is just filled with hundreds of butterflies. SO MANY BUTTERFLIES! They had loads of places to land, but sometimes if you were lucky they’d land of you! they landed on my husband A LOT. Plus there are people walking around telling you about the butterflies and even helping you catch one on a paint brush (you aren’t allowed to touch them) CT was able to hold the paintbrush a few times. It was one of the highlights of her birthday. Right before you walk into the pavilion they also an exhibit where they teach you all about the life cycle of butterflies and moths. 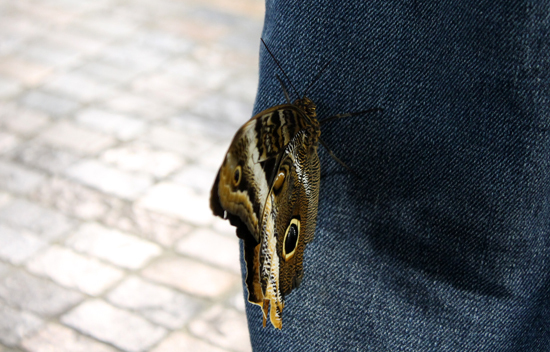 If you go at certain times of day they also have other huge insects that you can hold… if you’re brave enough. I’m already looking forward to when the holiday season is over so we can head back down. We were told that each time you visit is a completely different experience. I want to see if that’s true. My little girl turned FOUR last week! Super crazy. For her birthday we asked if there was anything special she wanted to do. Her original response was “go to the park”. We then explained she could do more too and started listing off loads of places. In the end she told us she wanted to go to the museum, because theres a museum in Animal Crossing video game. Though in the game theres Art, Dino Skeletons, Live Insects and Butterflies. Luckily the Smithsonian covers most of that stuff all in one building and it’s only a short drive and a metro ride away! 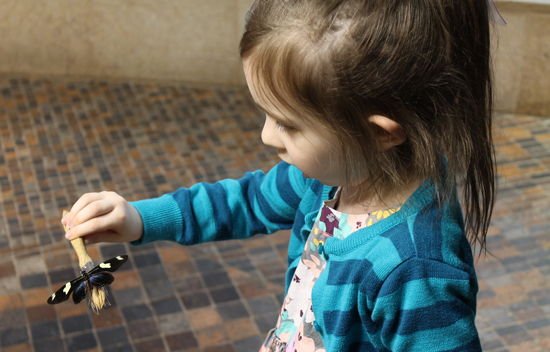 First we checked out the Dinosaur Skeletons and Fossils, since that was her first request. It’s also a big thing in the game. You dig up fossils, take them to the museum and a little owl guy checks them out and then you have skeletons that you can donate to the museum or sell for profit. 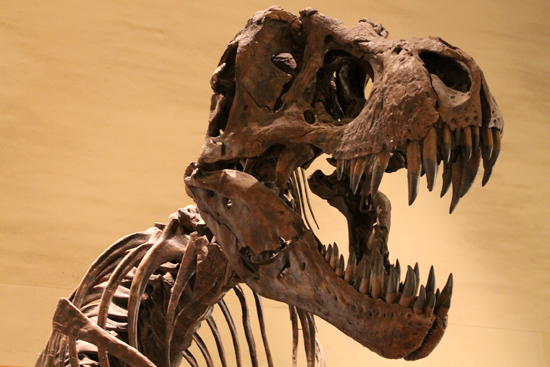 I may have gone a bit overboard with the photos, but seriously the Smithsonian is SO COOL! I grew up visiting all the museums on field trips, with my family and then as a teenager with my friends. I had the biggest smile on my face all day watching CT freak out about everything. She is really into skeletons and such right now (Thanks to the Dr. Suess book: Inside Your Outside, All About the Human Body) So the exhibits actually kept her attention. Lucky for us there was also a small exhibit with live fish. So we could check that off the Animal Crossing list. As you can tell from our required photo outside the museum, it was COLD! I think it was freezing temps actually. Don’t worry, we were all super bundled up. 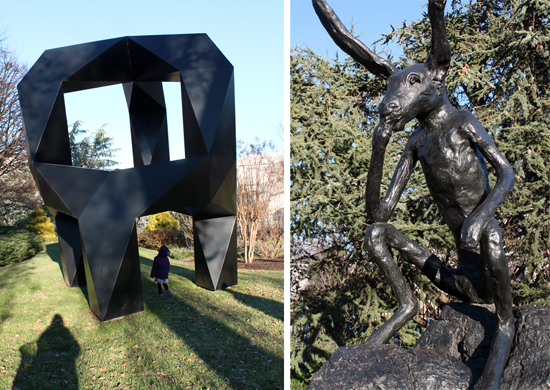 To end our Animal Crossing themed museum trip, we headed next door to the National Gallery of Art Sculptural Garden. Seriously one of my absolute favorite places! CT loved walking underneath the sculptures and see just how big they were!. The entire day was just so much fun. We all enjoyed ourselves and are already planning another trip down. There’s so much more to see!!! Check back tomorrow for my ridiculous amount of butterfly pictures from the Live Butterfly Pavilion at the Smithsonian.